There are two games where the odds are pretty much stacked against the player. One is Keno. The other is the lottery or more specifically, the Powerball. Just think about it. Not only do you have to pick five precise numbers -- you must add a Powerball number to it to complete the wager. Real gamblers steer clear of Keno and the Powerball except in extreme cases, like the phenomenon that now exists in a jackpot that could touch $1 billion. Am I going to buy a Powerball ticket? Before I answer the question, let me tell you a story. Some years ago, I worked for a lively newspaper in Lake Park, FL. called Weekday. It was published by John Carroll, a man with a wicked sense of humor who kept getting me in trouble with our readers by the assignments he dealt out to me. 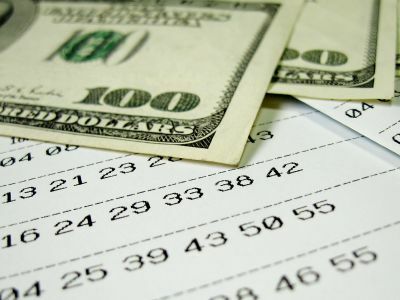 In this particular case, the Florida lottery jackpot had climbed to something like $40 million. Carroll told me to go to a couple of convenience stores to interview people who were buying lottery tickets. The first store I stopped at was a Circle K about three blocks from my newspaper office. One of the three customers in the store was a well-dressed distinguished looking black gentleman who had just purchased a cup of coffee. I approached him and asked if he planned to buy a lottery ticket. 'The jackpot is up to $40 million,' I said. He bought a lottery ticket. I worked for a national lottery magazine called LottoWorld that published out of Naples, FL. As associate editor on the publication, I interviewed major lotto and PowerBall winners around the country. We also published columns by prognosticators who followed the winning numbers and who would list their 'hot' and 'cold' numbers in an attempt to help our readers win. LottoWorld was a fun magazine to work for. I had a fabulous managing editor named Barry Miller who would die of a heart attack much too soon. Barry arranged for me to interview celebrities like Robin Leach, Julia Roberts, Tiny Tim and Nicolas Cage on stories with a lottery angle. For example, Tiny Tim told me he chose the house or apartment numbers of his friends like Elizabeth Taylor when selecting his numbers. Cage had starred in a movie called 'It Could Happen To You.' The plot was based on a true story where a cop didn't have enough money to leave a tip for a waitress and promised to share his lottery winnings with her if he hit. Well, his numbers hit -- and he kept his word. I did a very touching interview with a construction worker. He and his brother both had spent their lives doing hard work building houses. Both had suffered injuries over the years and they both loved to play the lottery. The payoff came when one of them won $10 million in a lotto jackpot. During our telephone interview, I asked the construction worker how he had informed his brother. No, the Powerball is certainly a foolish bet. But my daughter and I are both buying tickets for the drawing tonight. I know I am doing it for her and I feel pretty confident she is doing it for me. If I win, it may be some time before you hear from me again. Let the games begin. Well...good luck on Poerball. 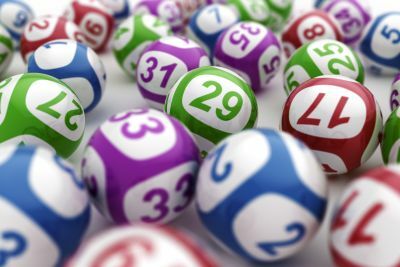 In Canada, here, we have four main lotteries for our province. The jackpots do get up to and over $60M, but the 4 out of 6 pays only $25! The odds are astronomical...it's almost more fun reading the associated stories, than spending my $6.